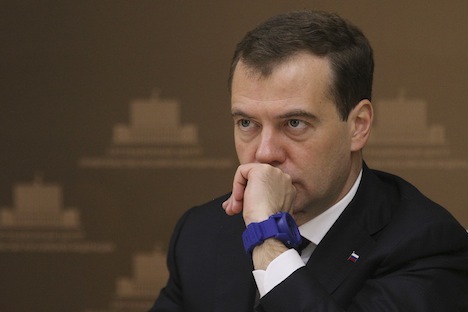 Russian Prime Minister Dmitry Medvedev has explained his comment on a new Cold War beginning between Russia and NATO. He thinks that the decisions made by the North Atlantic alliance are prompting it. Medvedev said in his speech at the Munich Security Conference that, in the opinion of Russia, "The political line of NATO toward Russia remains unfriendly and closed. It can be said more sharply: We have slid into a time of a new Cold War." In his interview with Time magazine, Medvedev said, "I never said that a new Cold War has begun, but I said that NATO decisions bring a new Cold War nearer. I said this and I will say it again." He referred to the speech of NATO Secretary General Jens Stoltenberg at the Munich Security Conference. "He said Russia should be contained; [military] contingents should be beefed up and defenses mounted along the borders in all areas. If this isn't preparing for another Cold War, what is it for then?" Medvedev said.